ASKO are known to produce high quality and innovative kitchen and laundry appliances that will last for years to come. All ASKO appliances are designed with Scandinavian influence meaning they are built with a timeless and minimalist design. Environment is also a key aspect of ASKO appliances, where ASKO laundry and dishwasher products are some of the most efficient products available, saving energy and water. All ASKO cooking appliances come with 5 years warranty. Whether you're looking for an electric, induction or gas cooktop, ASKO have it all to suit your kitchen. ASKO cooktops are designed with innovative features, yet still easy to clean. Choose from either a larger ASKO electric oven which is 60cms in width or a compact oven which is 45cm in width. Depending on which oven you choose, there's also a steam cleaning functionality or an auto roast function. All ASKO rangehoods boast rapid fume removal and have a washable fan filter. Choose between a concealed rangehood that is hidden within your cabinetry for a streamlined look, a canopy rangehood that will add design impact to any kitchen. ASKO products are known to be water efficient and their dishwashers are no different. ASKO dishwashing cycles use less water than it takes to fill up the kitchen sink to wash dishes by hand. They are engineered to target extremely hot water to dishes and pans that removes all food scraps and residue. Super Cleaning System+ - a pre-rinse fuction before the main wash, so you no longer need to pre-rise your dishes. Turbo Drying System - all ASKO dishwashers eliminate moisture after washing so your dishes will be dry and glasses will be streak free. Extra Large Capacity - adjustable and adaptable baskets and shelves, so you load more into your dishwasher. ASKO's XXL models can fit even more dishes into your dishwasher. ASKO washing machines have been designed for durability and sustainability. They were built to not only last a long time, but to be water and energy efficient. ASKO font loader washing machines use SensiSave, which are sensors that detect the size of your load and adjust the water load accordingly. ASKO's new generation washing machines have been endorsed by Sensitive Choice Australia for their Steel Seal technology instead of a rubber seal, so that means ASKO front loader machines require less cleaning and prevent leaking. ActiveDrum - hourglass-shaped lifting paddles separate gravel and dirt assisting with a gentler wash.
Quattro - shock-absorbing legs that minimise vibration and reduce noise. ASKO heat pump clothes dryers include features that will save energy and save you time. All ASKO clothes dryers use two paddles which allows your clothing to be gently pushed in a figure eight, allowing air to circulate evenly and therefore being more gentler on your clothing. SensiDry - ASKO dryers automatically detect when your clothes are dry and turn the dryer off to save energy. Double lint filter - removes lint, therefore allows your dryer to be high performing for many years. Heat pump - for impressive efficiency and drying results, ASKO uses advanced heating technology. 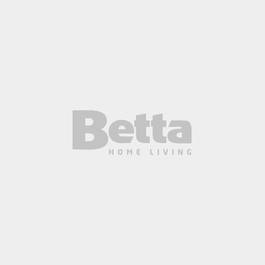 To learn all the details about ASKO products and to find out which product is best for your needs, visit your local Betta Home Living ASKO Stockist. The local Betta store team will give you real service and local advice, as the people who run your store own it. So whether you shop online or in-store, you're helping your local community. If you need help with delivery, installation and removal of your old appliances, we can help with that too. Visit your local Betta Home Living ASKO Stockist. Save up to $300 on selected ASKO dishwashers. Save $200 on the ASKO T410HD Heat Pump Dryer. More ASKO savings can be found on our Bonus Offers page.